It’s week 29, and things are progressing quickly now. The birth is only 2 months away, maybe as early as 7 or 8 weeks away. So much to do! The baby is extremely active this week. She’s been kicking and moving so much. It’s quite amazing to see how much she moves. She should be around 38 cm long and about 1100 grams. Her brain, muscles and lungs are developing rapidly, and her head is getting bigger. Her skeleton is also absorbing a lot of calcium. Mom has been going through a lot this week, too. She’s been feeling pain once in a while that causes her to have to lie down. The doctor said this would happen from time to time. She’s also been dizzy sometimes. Preparations are under way. We’re getting ready to reserve a bed, baby carriage and other things for the baby. Today, my wife had a flu shot, and I’m going to have to get one, too. Next week, my mother-in-law will be visiting for our visit to the clinic. 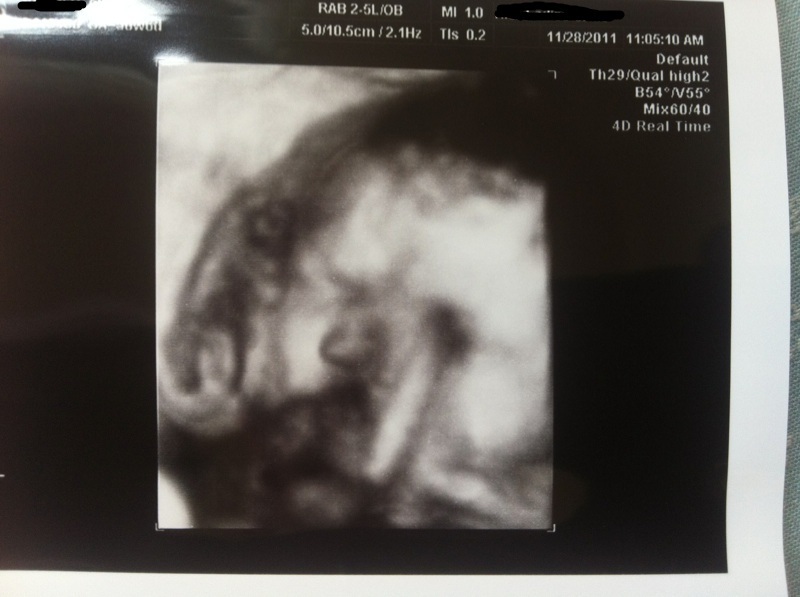 There’ll be more ultrasound pictures next week! I think the biggest thing is that my mother-in-law will be staying with us for a month after the baby’s born. Time to work on my Japanese, as she doesn’t speak any English! It’s been quite the first week of the third trimester. We visited the clinic for a checkup, and got some news that was a bit surprising, though shouldn’t be anything to worry about. Two weeks ago, the baby was already in the correct position for birth. However, she flipped around and is head up again. But the doctor said there’s still time and she’ll probably be back to head down before birth. So, what’s happening in the baby’s life? She should now be blinking her eyes and seeing what little light she can see through her mom. She also has eyelashes. Her brain is developing quickly, and she’s now gaining more body fat. It’s birth preparation time. She should be close to 1 kg and 37.5 cm long. As usual, she’s incredibly active and very easy to feel moving. 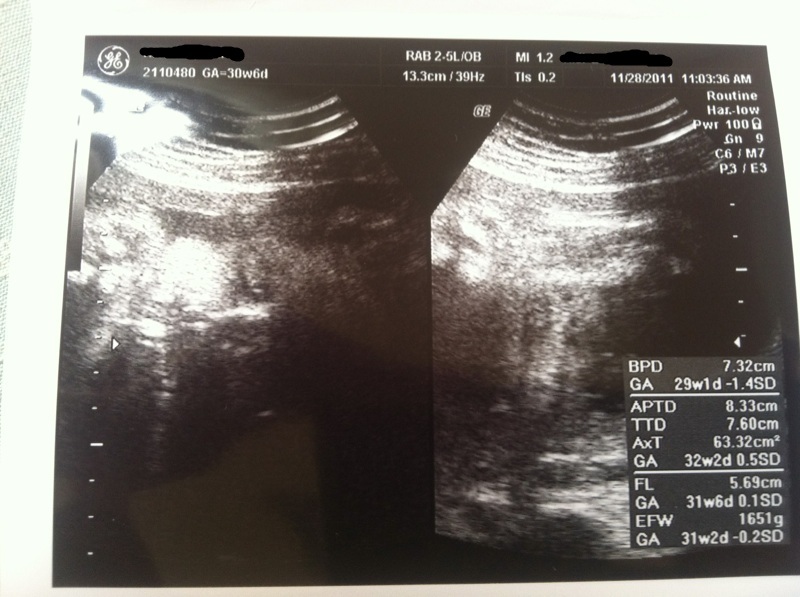 Now that she’s out of the second trimester, my wife is feeling quite uncomfortable and getting a sick feeling often. The baby’s pressing against her stomach a lot, so can’t eat so much, then she feels sick, and 2 or 3 hours, she’s hungry again. The baby’s movements are also getting uncomfortable. Coming soon is a flu shot! The doctor strongly suggested it, and also suggested I get one, too. That means I have to find a clinic to get one at. 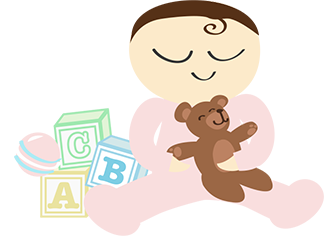 On other topics, as we’re getting much closer to the birth, we have to think about some baby clothes, bed, and more. We’re planning to rent a crib and baby carriage. Much cheaper than buying them. This is the final day of week 27, which also means it’s the final day of the second trimester. The homestretch starts tomorrow with the final 10-12 weeks in the third trimester! The baby’s been very active lately. She’s been kicking up quite a bit, and I’m afraid it’ll just get more painful as she grows bigger. She’s getting closer to 1 kg and around 37 cm long. She’s sleeping and waking up regularly and can now open her eyes. She may even be sucking her fingers. She’s starting to gain body fat, filling out her loose, wrinkly skin. Her lungs aren’t fully developed, but they are developed enough that she could survive if she was born now, of course with medical help. Mom is doing fine, though continues to experience cramps and other pains in her lower abdomen. It’s getting difficult for her to sit at her computer on the sofa, too. And she’s getting sleepy a lot. It’s getting more difficult to walk, especially uphill and up stairs. She can’t sit up after laying on her back. The baby is pushing up on her stomach, so she can’t eat much, but as a result, she gets hungry every 2 hours. Another problem is when she’s drinking a lot, she gets gassy and burps. I asked my wife how she’s feeling, and she said that the baby is training, possibly to be a boxer. Punching a lot! Well, this is the last post of the second trimester!